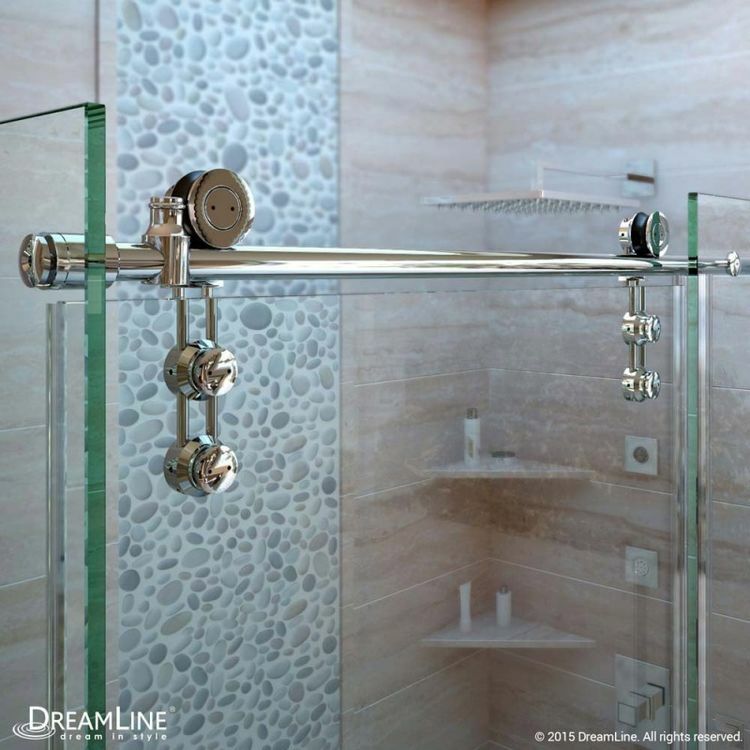 For exceptional bathroom solutions, DreamLine always has gorgeous tricks to show! 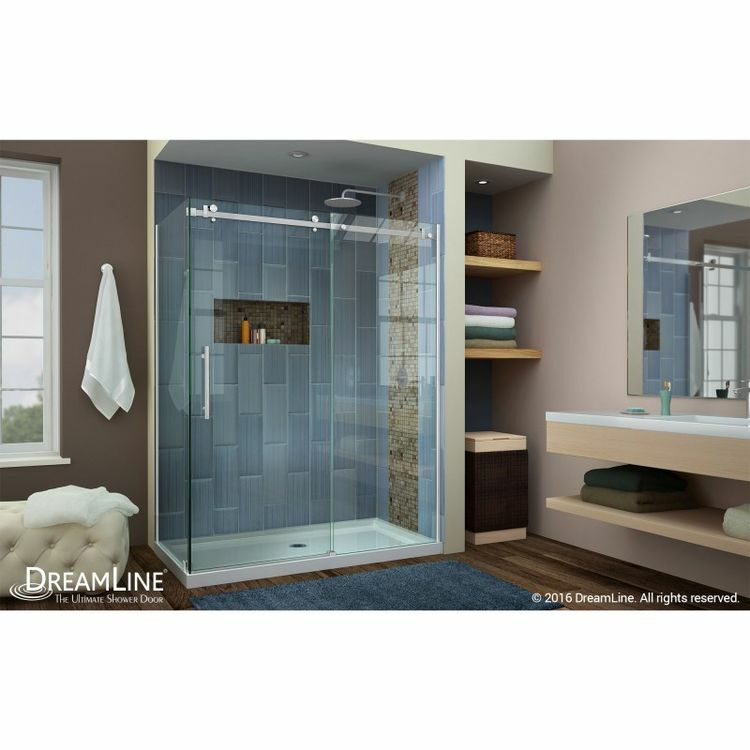 DreamLine's SHEN-6434480-08 Shower Enclosure from the Enigma Air collection is one that will transform your bathroom into the sweet, personal retreat that you desire. 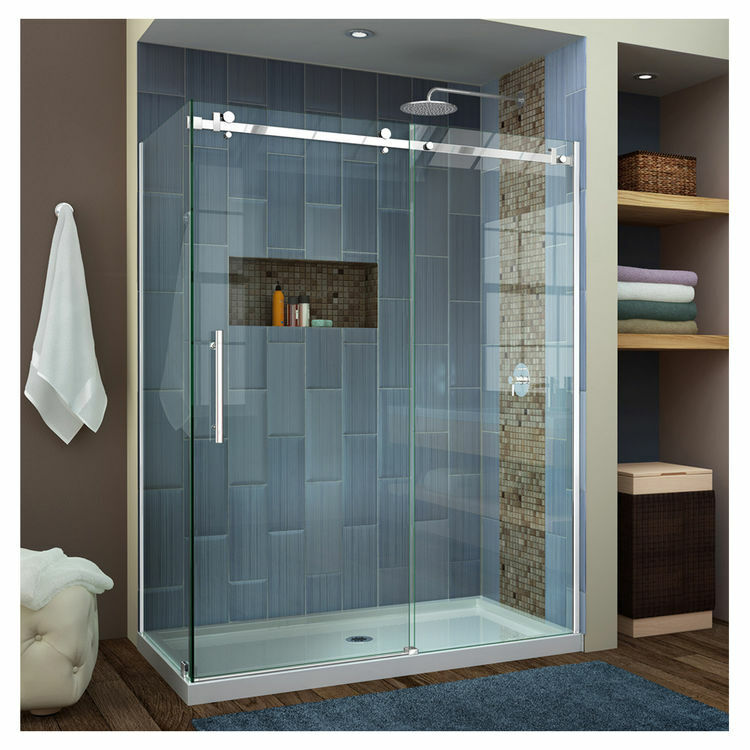 The fully frameless design of this 44-3/8" - 48-3/8" x 34-3/4" enclosure offers a more spacious, airy, and carefree feel. It looks clean and simple but there is more than meets the eye. 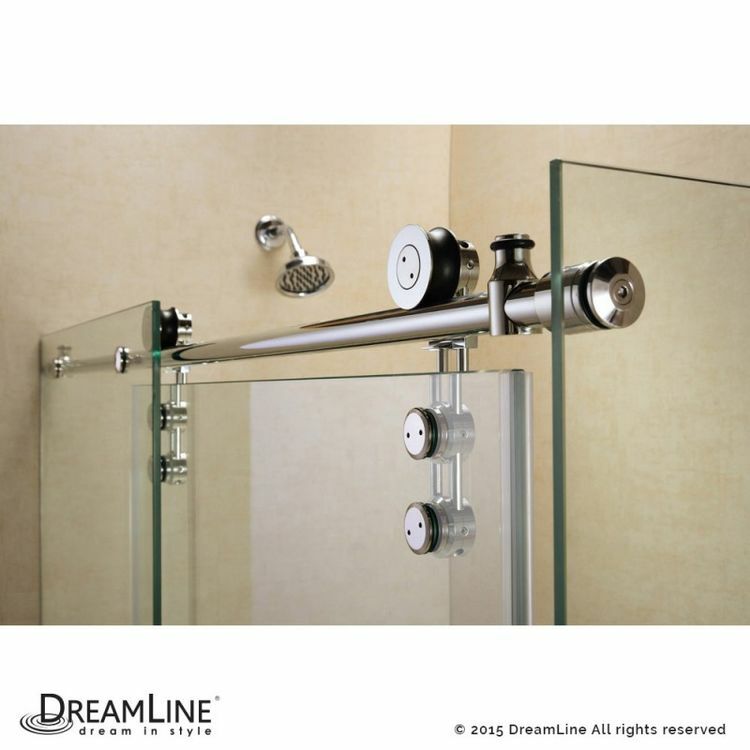 This DreamLine Shower Enclosure is accented with the elegant polished stainless steel hardware. The door is reversible for a left or right door opening depending on your preferences. 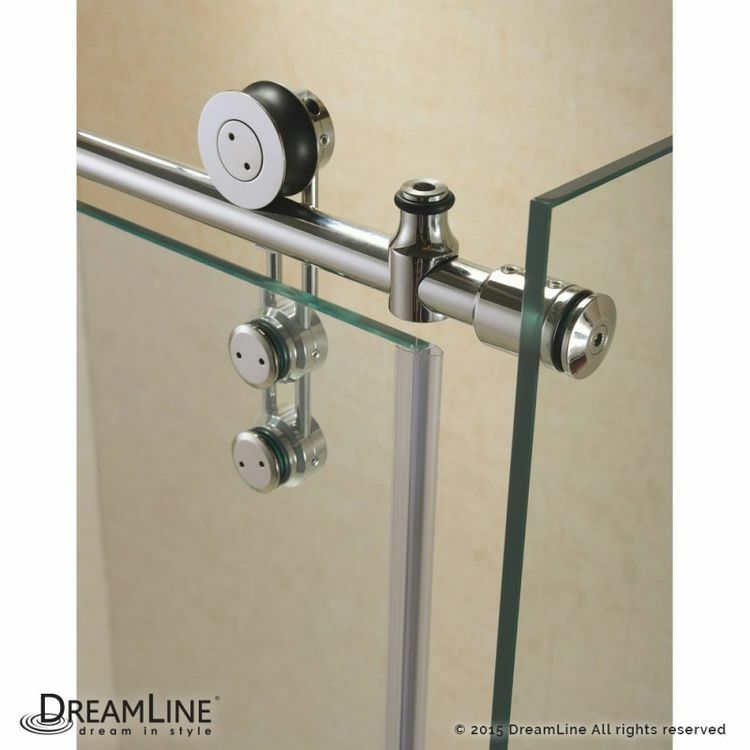 The clear glass panels are 10 mm thick ANSI-certified clear tempered glasses that are completely safe, very functional, and will stand up to heavy daily use and high heat. 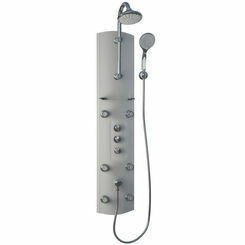 When not in use, the whole thing - from the glass to the handle - will sit pretty in your now sophisticated bathroom. 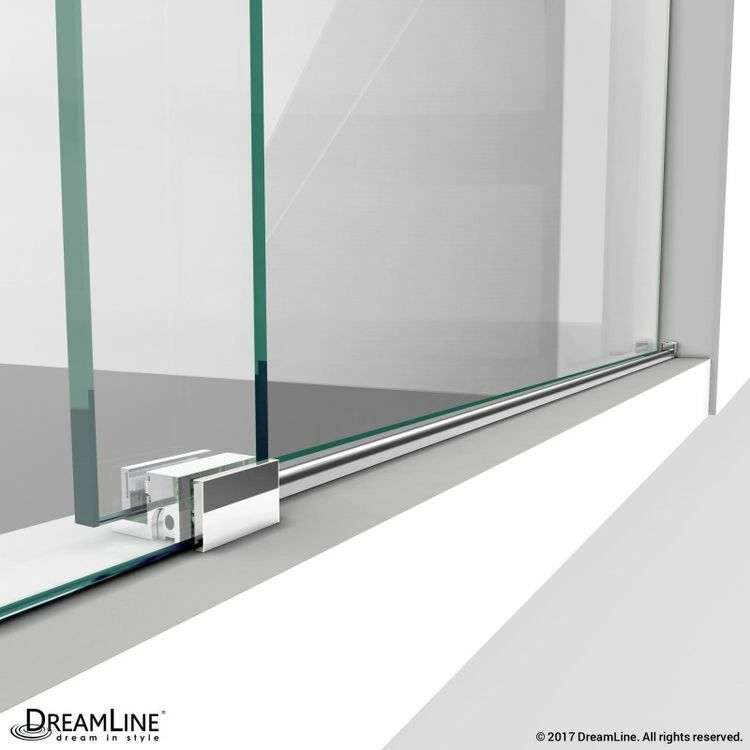 Another awesome feature is DreamLines exclusive ClearMax coating that makes it resistant to water stains, making cleaning and maintenance a piece of cake. 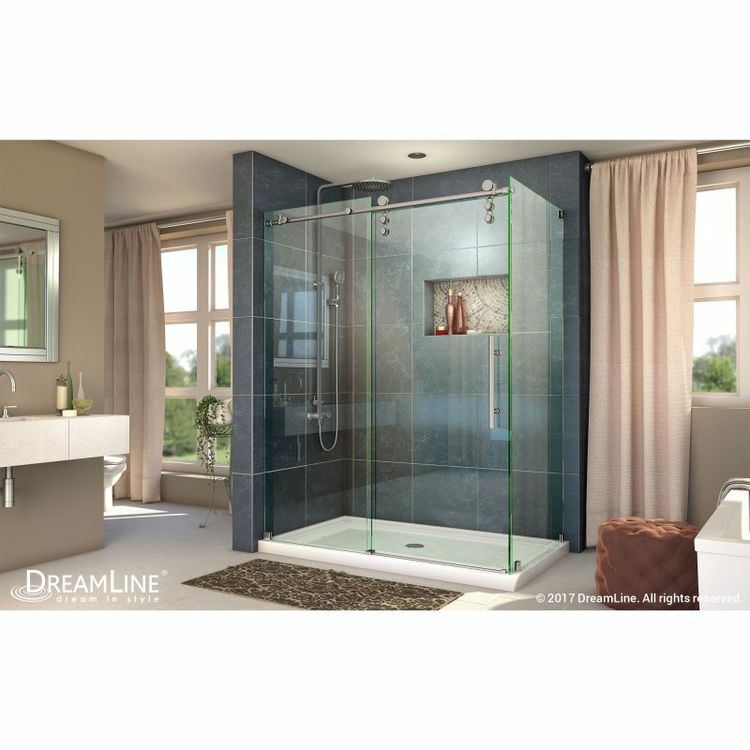 The walk-in opening of this DreamLine Frameless Shower Enclosure is 24-3/4". 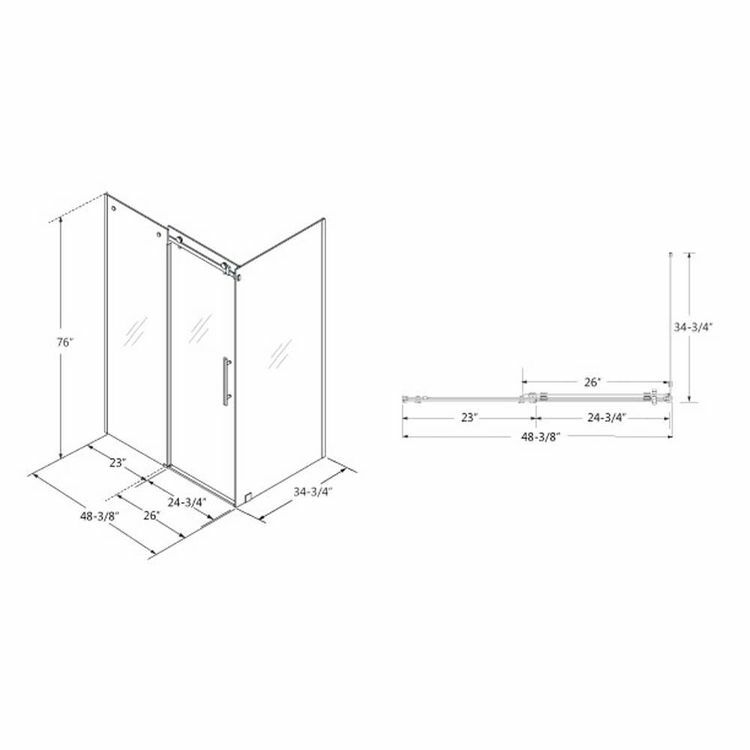 The stationary panel measures 23" while the return panel is 34-3/4" wide. A modern twist is the anti-splash threshold so you can hyperventilate no more about water spills! Add to this the large wheel assembly for the smooth and effortless gliding motion - there's nothing more you could ask for! 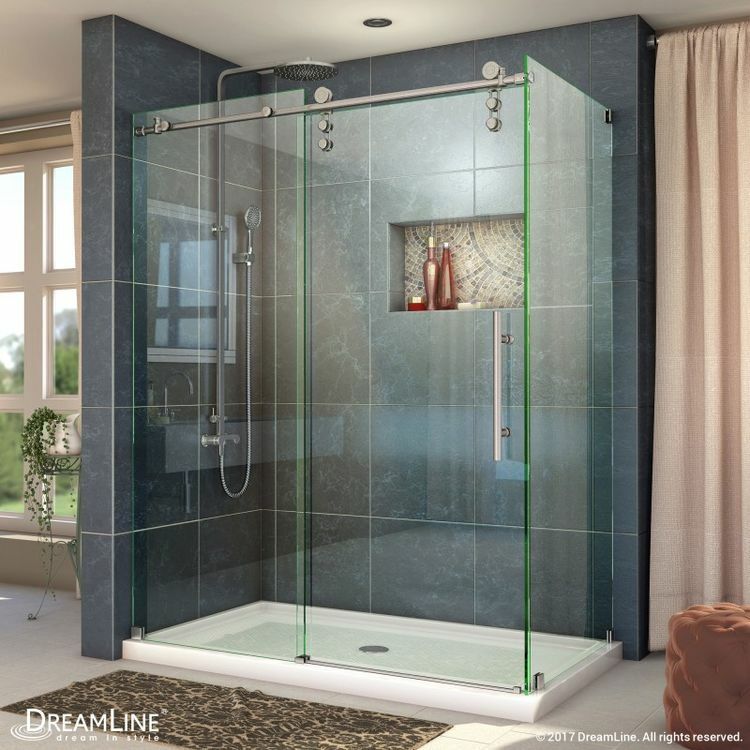 This DreamLine Shower Enclosure is covered by DreamLine's limited lifetime manufacturer warranty. 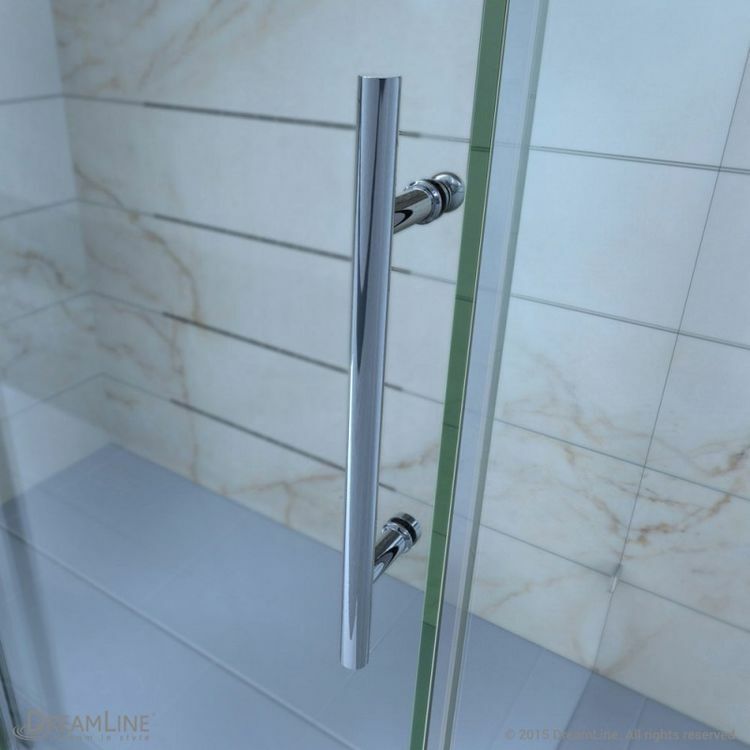 Shower Kits crafted by DreamLine have enjoyed outstanding reputation and ratings and have been met with tremendously satisfying nods in the market. Shipping Dimensions 80.0" x 37.0" x 10.0"